I have missed you! I'm glad you are back. 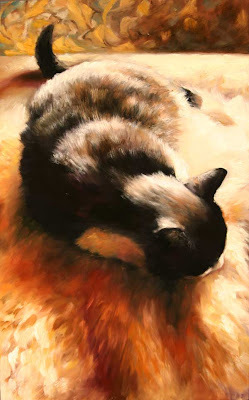 This is a gorgeous painting ... there's nothing quite like a cat nap. I like the way you captured the texture of the fur. Thanks Kate and Austin. I've been a little remiss in my posting lately, but I hope to be filing entries more regularly soon.